Personalized Insulated Acrylic Tumblers Custom Printed in Bulk or Blank. Promotional, Inexpensive. Two sizes: 24 oz. : Item # HT5868 and 16 oz. : item # HT5869. Budget Prices in the USA and Canada. 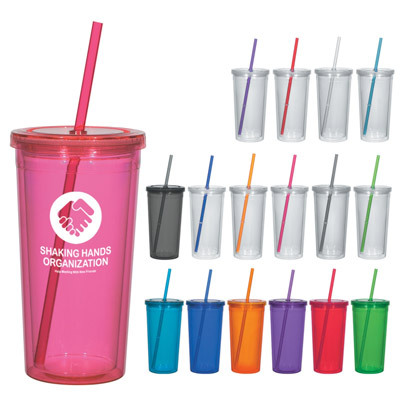 Wholesale advertising Insulated Acrylic Tumblers on sale. Lowest cost in North America. Free Art Design. American Clients pay no taxes.